The past NHL season has seen the "disappointing Edmonton Oilers" (a phrase that really flows off the tongue after a decade of mediocrity) also lose the epic NHL "tank battle" for last place. Despite a 6/19 record after the trade deadline (a 0.316 winning percentage) and only landing 11/38 possible points over that span, the Oilers still found themselves the third worst team in the league. The Buffalo Sabres held on right until the end, and the Arizona Coyotes who dumped Dubnyk mid-January sucked their way to a second-last place position. As a result, the Oilers only have an 11.5% chance of winning Connor McDavid. That's barely higher than the goddamned Maple Leafs. It's also less than the odds of either Columbus or the Flyers winning. Despite all the hell the Oilers have endured, the odds are still awfully low. The only thing that might help is that unlike previous years, Arizona really got screwed over with the change that the team that wins the lottery doesn't move 5 steps up like in previous years. They get the whole thing. And the poor Coyotes have a far higher chance of the third prize, which is still quite the step down. 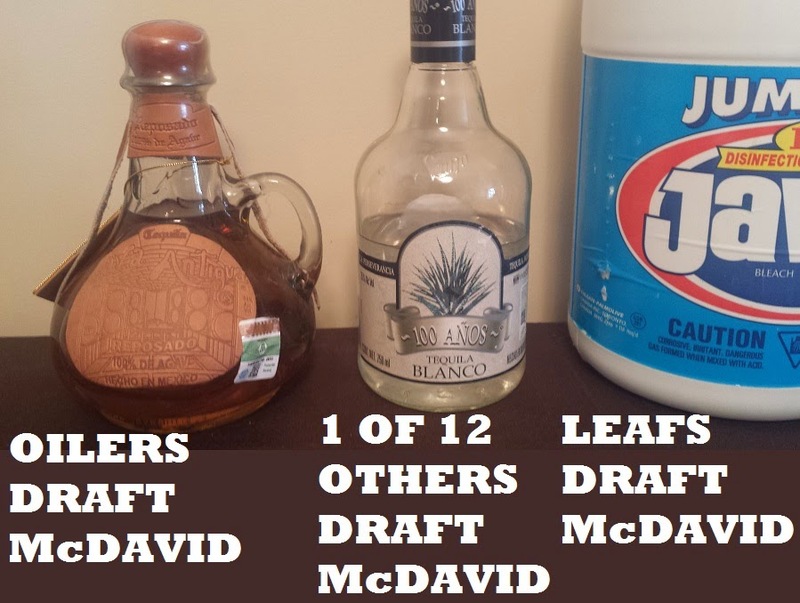 And the Oilers either get McDavid, or are behind even them. In half an hour, it will all be decided.